NCF Piezo Ceramic Series Connectors: A Furutech First! 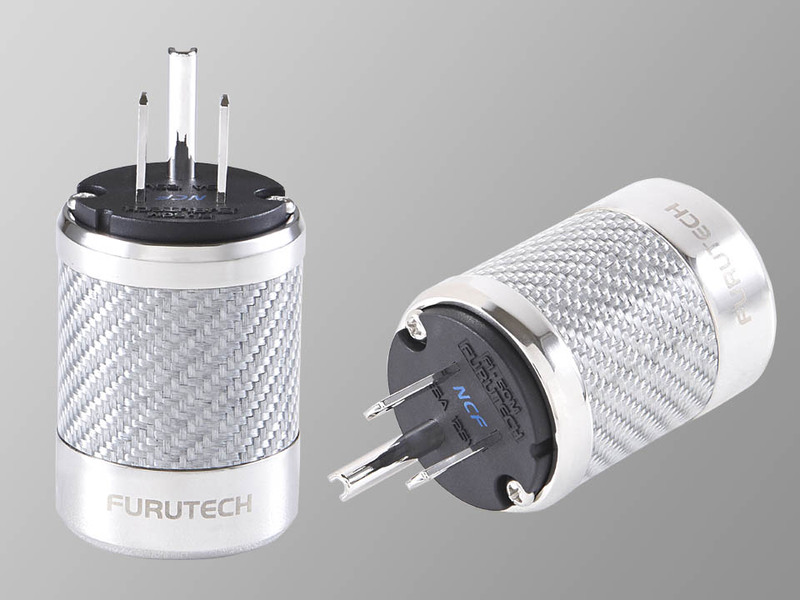 Furutech’s Pure Transmission FI-50 NCF Piezo Ceramic series connector bodies and housings feature several breakthrough construction techniques. A multilayer nonmagnetic stainless steel and silver plated carbon fiber shell incorporates a special damping and insulating acetal copolymer. Furutech settled on stainless and silver plated carbon fiber for the outer housing after extensive listening sessions with Japanese industry figures and audiophiles. The body of the connectors incorporates an “active” damping material: Nano Crystal² Formula - Nano Crystalline, Ceramic and Carbon Powder Incorporated into select Furutech products, Nano Crystal² Formula --- NCF is comprised of a special crystalline material that has two “active” properties. First, it generates negative ions that eliminate static and secondly, it converts thermal energy into far-infrared. Furutech then combines this remarkable crystalline material with nano-sized ceramic particles and carbon powder for their additional “Piezo Effect” damping properties. The resulting Nano Crystal² Formula is the ultimate electrical and mechanical damping material – only found in Furutech products! Nano Crystal² Formula eliminates static, “interconverts” thermal, mechanical and electrical energy and damps vibrations—all for the finest Furutech Pure Transmission signal imaginable. How far will Furutech’s engineers go in their attempts to reach Pure Transmission reference quality? Their concentrated examination of each and every element of signal transfer has resulted in another breakthrough technology, the Furutech Earth/Ground Jumper System. It eliminates EMI (Electromagnetic Interference) induced in metal parts like connector housing screws. Current flowing through the power connector creates a magnetic field, just as an insulated conductor creates both electromagnetic and electrostatic fields. Furutech engineers found this magnetic field induces current flow (and a small magnetic field) in the screws holding the connector together! These magnetic fields interfere with the larger magnetic field around the conductor and connector. Multilayered nonmagnetic stainless steel and silver plated carbon fiber housing incorporating an acetal copolymer. The best of damping and insulation materials improve frequency extension and tonal balance. The best of damping and insulation materials for improvements in frequency extension and tonal quality. Metal cable clamp for improved grip and reduction of mechanically and electrically induced distortion.